SASKATOON (CIS) – Johnny Lazo scored 16 minutes and 22seconds into the second overtime period to propel the top-seededUniversity of Alberta Golden Bears to the gold-medal final of theCIS men’s hockey championship thanks to a 3-2 win over theNo. 4 McGill Redmen Saturday afternoon in front of 3,041 fans atCredit Union Centre. With the win, Canada West champion Alberta finishes atop Pool Awith a 2-0 record and will face either No. 3 Windsor or No. 5Saskatchewan for the University Cup Sunday at 1:30 p.m.Saskatchewan Time. The Bears hold the all-time mark with 13 CIS titles and willskate in their 19th championship match on Sunday, another record.They last triumphed in 2008, losing the 2010 final to SaintMary’s since then. McGill returns home with a 1-1 record, while Carleton placedthird in the pool at 0-2. Lazo broke a 2-2 tie when he was able to get free in front of thenet and tip a Kruise Reddick centering pass past McGill netminderJacob Gervais-Chouinard, who was sensational throughout the duel ashis team was outshot 55-20, including 22-3 in the third period. After a scoreless opening period, Alberta took a 1-0 lead 7:52 intothe middle frame on a goal from Reddick. The third-year forwardskated to the high slot and beat Gervais-Chouinard with a wristshot glove side. McGill tied the affair at 1-1 eight minutes later on an unassistedtally from Guillaume Langelier-Parent, who came out of the cornerwith the puck to beat freshman Lucas Siemens with a low backhandshot. The Redmen took the lead early in the third with a power playgoal from defenceman Jean-Philippe Mathieu, who scored on a longwrister at the one-minute mark on the power play. Alberta got the equalizer at 7:13 of the third period when a shotfrom Jamie Crooks found its way through traffic in front of the netbefore hitting the post. The puck fell straight down and BrettFerguson was first to the loose puck tapping it into the opencage. Gervais-Chouinard was fantastic in net for McGill making 52 savesand taking home player of the game honours for the Redmen. “Chouinard, he was the player of the game, it was anunbelievable performance by him,” said McGill head coachKelly Nobes. Despite the loss, the future is promising for the Redmen, who weremaking their sixth University Cup appearance in the past sevenyears and claimed the first title in program history in 2012. Gervais-Chouinard drew praise from the Golden Bears following thegame. “We stuck to our game plan and peppered them with shots.Their goalie, he played a great game,” said Lazo. Ian Herbers, head coach of the Golden Bears immediately turned hisattention to tomorrow’s championship final during thepost-game press conference. “We got to get recharged here, the coaches will be herewatching the game. Our plan is to come out at 1:30 tomorrow, playour game and give everything we have, just like we didtoday,” said Herbers. Siemens, who was making his first start of the tournament afterbacking up veteran Kurtis Mucha Thursday against Carleton, made 18saves for Alberta in the winning effort, while Ferguson was namedplayer of the game for the Bears. 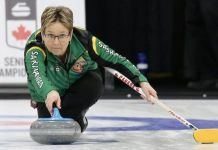 The PotashCorp University Cup presented by Co-op resumes Saturdayat 7 p.m. local time with the final game of Pool B between WindsorLancers and Saskatchewan. Lindemulder (ALB) checking from behind, 10-minute misconduct,14:25. 2. McG Guillaume Langelier-Parent (1) (unassisted), 15:35.